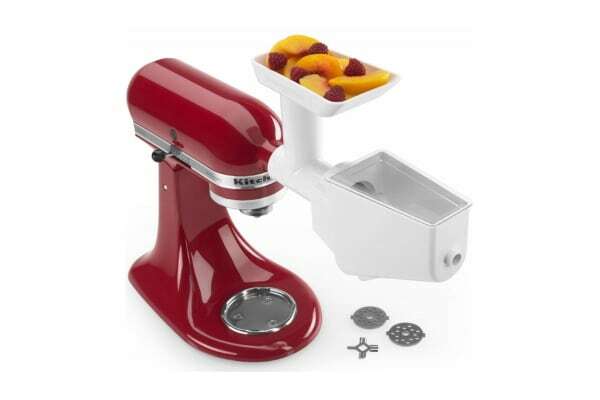 Transform your KitchenAid Mixer into a versatile kitchen appliance that strains and grinds fruits, vegetables and meats. 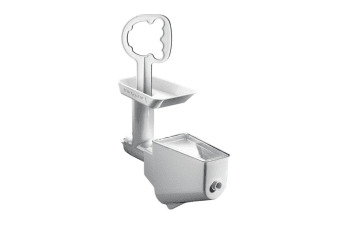 If you love freshly ground meat and delicious salsas, then the Strainer and Mincer Attachment is perfect for you. Equipped with coarse and fine grinding plates, this kitchen essential is capable of grinding and straining fruits and vegetables for tomato sauce and homemade baby food. 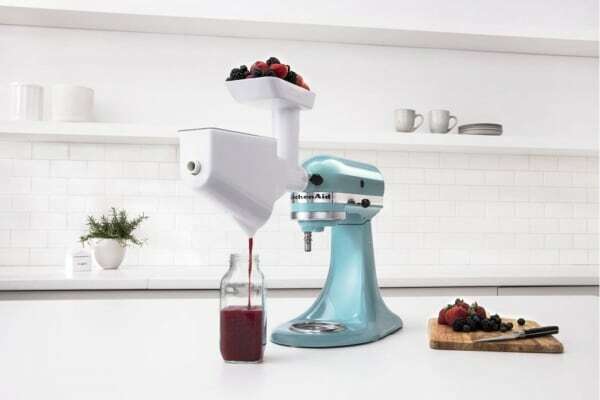 With the Strainer and Mincer Attachment, the sky’s the limit!